Barun Sobti Wants Fans To Move On; Shivani Tomar Hopes Fans Love Her Chemistry With Barun On IPKKND! Iss Pyaar Ko Kya Naam Doon Season 3 has created a lot of noise before its telecast. The show will feature Barun Sobti and Shivani Tomar in the lead roles. 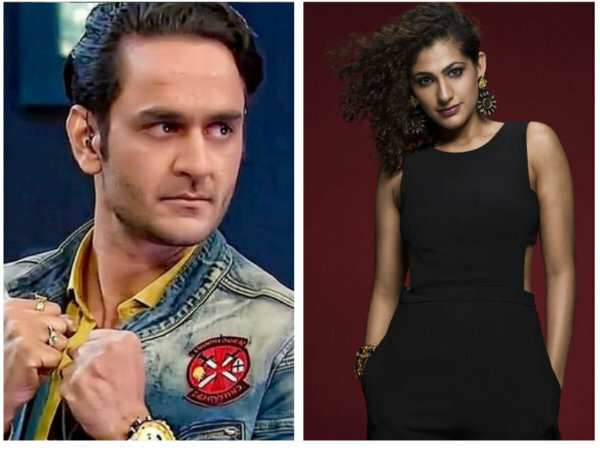 While a few fans are excited that their favourite show and actor is back after a long time, majority of them are upset because of the lead pair! Barun Wants Shivani To Have Full Faith On Him! Barun Sobti was quoted by IANS as saying, "I've told Shivani to have full faith in me. Even if she will fall, I will definitely hold her because I have done such scenes in the past. She can do her own thing and it will all fall into place." Barun & Shivani Bond Well! Barun Never Made Shivani Feel Like An Outsider! Shivani Tomar too, said, "He never made me feel like an outsider on the sets of the show. My experience of shooting with Barun has been really good so far and we have a great rapport. Hope that fans love our chemistry as well." Barun Hopes That Fans Accept Him & Shivani! Talking to an entertainment portal, Barun said, "I really hope that they like what we (Shivani and I) are doing this time." Barun Wants His Fans To Move On! "But having said that, life is all about moving on. In life, we chill and calm down when certain things happen. So, it holds true in TV shows also. 2011 (IPKKND Season 1) will not go on forever. Things need to change, and they will change." He had also said that he never inquired about who will be cast opposite him as it hampers the chemistry with the co-actor. He feels that it is like breaking one's dignity. He added that there are various other factors other than pairing that makes a show, hit! Shivani talked about her looks and character on the show. She was quoted by another entertainment portal as saying, "The look blends perfectly well with my character." "She (Chandini) is quite a simple girl, and her outfits and makeup too are simple. I love the look that I have for the show, and I'm sure that my character will resonate with the audience." "It is very different from any look that we have seen on TV. My character will be seen wearing a saree even before marriage. A lot of detailing has gone into getting the right look for my character, Chandni." According to the reports, Barun's character Advay Singh Raizada, will be seen playing an anti hero. He will be seen confused all the time, especially regarding his food. ASR would have suffered a trauma in the past, because of which he gets nightmare. He is guilty that people who were responsible for his parents' death are still alive, and are living a happy life! It was also reported that Barun suffered a throat infection while shooting for the latest promo. Apparently, the latest promo showed Sobti reminiscing his childhood days in his old house. The set-up for the location was made keeping in mind the promo. Apparently, while shooting for the promo, there came a time lapse and everyone on the set suddenly started coughing due to a lot of dust. Barun too, got affected, but he continued to shoot for the next few hours and visited the doctor post the shoot. Apparently, the actor being the workaholic, continued to shoot for the show the next day despite suffering from the throat infection. It has to be recalled that Sanaya Irani has backed out from her new show 'Kavya Ki Prarthana'. As soon as this news came out, rumours started doing the rounds that the makers are considering fans' request and have approached Sanaya. But, later Gul Khan confirmed that it is not true. Even Sanaya had said that she was not approached for the show.